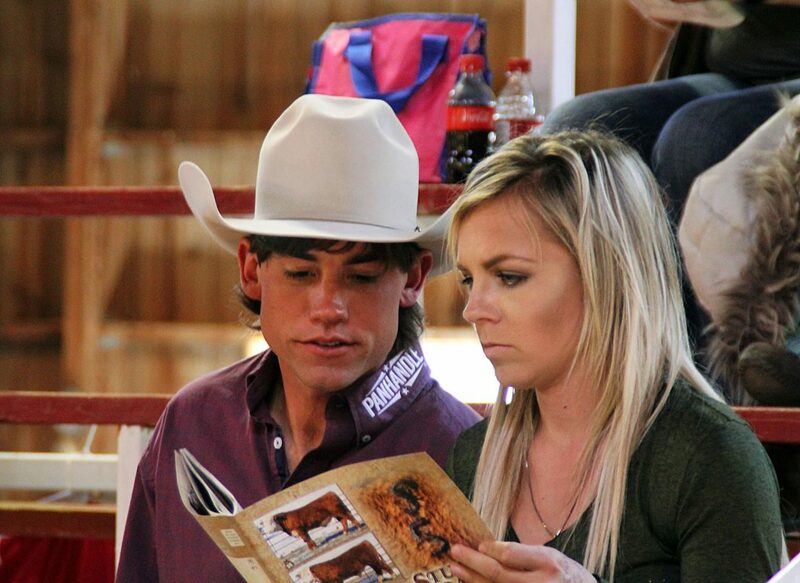 PRCA saddle bronc and bull rider, Cole Elshere and wife Kyndra, Faith, South Dakota, purchased Stuber Ranch bulls and heifers. 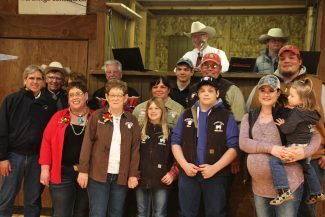 Multiple generations of the Stuber family were on hand for the 50th Annual Stuber Ranch sale. 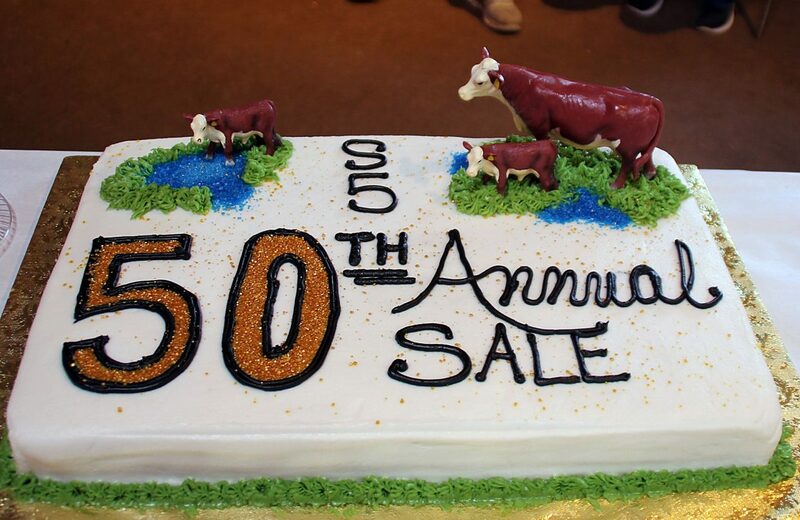 Stuber Ranch held their 50th Annual Production sale at the ranch near Bowman, N.D., on Apr. 21, 2018. 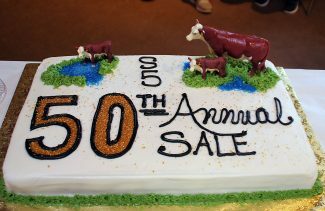 Stuber Ranch held their 50th Annual Production sale at the ranch, Apr. 21. 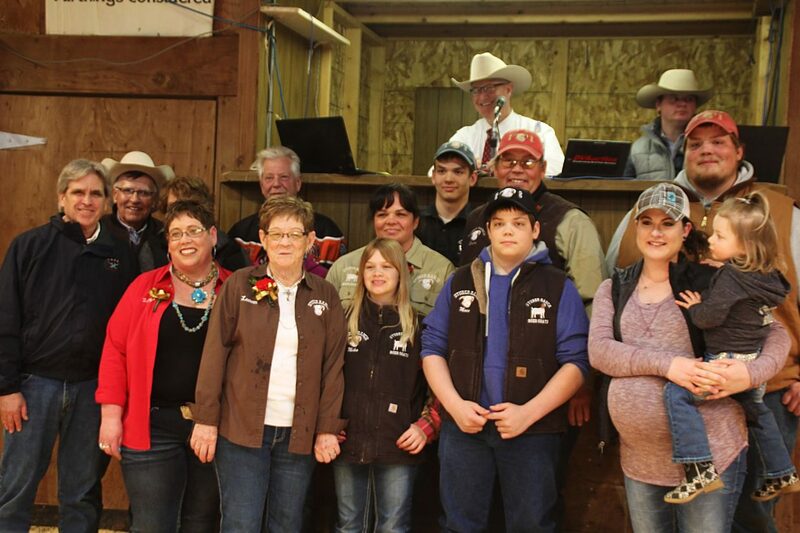 This was a milestone event for the Stuber family, not only 50th Annual sale but also 100th year of Stubers raising Hereford Cattle in North Dakota. The Stuber name is known nationwide for having the reputation of raising excellent Hereford seedstock. WW 62 YW 100 Milk 35, selling to Churchill Cattle Co., Manhattan, Montana, and Buford Ranch, Hominy, Oklahoma, for $20,000. Lot 105, SR Sustain 1057E, a 3/17 son of Churchill Sensation 02 with EPDs of CED 2.0 BW 3.0 WW 56 YW 87 Milk 36, sold to Rankin & Sons, Inc., Draper, South Dakota, for $15,000. Lot 7, SR WS Sustain 77E, a 3/17 son of Churchill Sensation 02 with EPDs of CED 10.4 BW -0.2 WW 55 YW 78 MIlk 40 sold to Buford Ranch, Hominy, Oklahoma, for $12,000. Selling at $9,000 was lot 35, SR Scope 357E, a 3/17 son of CL 1 Domino 0130X to Van Newkirk Herefords, Oshkosh, Nebraska. Lot 96, SR Lead On 967E, a 3/17 son of R Leader 6964 sold to Mike Sabinash, Kensal, North Dakota, for $8,750. Lot 73, SR Sustain E737, a 2/17 son of Churchill Sensation 02 sold to El Sur Ranch, Monterey, California, for $8,500. Congratulations to Roger Stuber and the entire crew at Stuber Ranch on a very successful sale and celebrating two milestones in ranching.